Your day doesn’t start when you crawl out of bed. Your day-and even your life-doesn’t really start until 5:00PM. What you’ve done with your time after 5:00PM last week, last month, and last year has determined where you are today. How you use the other 8 hours today, tomorrow, and next year will determine your future-they are your only hope to radically improve your life. The 8 hours you sleep are lost. The 8 hours you sell for a paycheck are gone. What you have-really, all you have-are the other 8 hours. Life not only happens in those the other 8 hours, but life is the other 8 hours. Where you work, the size of your paycheck, the amount of debt you have, what you weigh, the number of people you can count on to help you in an emergency, your connection to God, the relationship you have with your spouse and children, and just about everything else that is meaningful to you is the result of how you’ve used the other 8 hours. What are you doing after 5:00PM to move your finances and life forward? Pagliarini makes the case that every area of our life is impacted by how we spend or invest (or maybe I should say that every area of our life is impacted by whether we spend or invest) the other 8 hours – our “free” time. The quality of our health, personal growth, spirituality, personal and family relationships, finances, etc., are all impacted by the choices we make during the 8 hours we’re not sleeping or working. We can spend that time haphazardly and watch it slip away, or we can strategically invest it in people and activities that will make a real and lasting difference in our lives and the lives of others. Most successful people are intentional – they live on-purpose and make life happen for them instead of letting it happen to them. Most unsuccessful people just let life happen and deal with it as it comes. Little things make a big difference. Just a few minutes intentionally invested in one project or in one life area over time can yield big results. As much as I’ve tried to eliminate time-sucking activities from my life, it is still a daily battle for me. Working smarter, not harder, is one of the keys to success. If I want to reach my full potential, I need to be intentional about how I spend the other 8 hours. 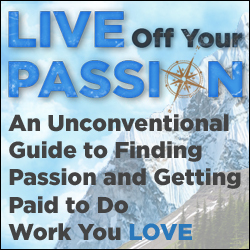 Click here to get The Other 8 Hours: Maximize Your Free Time to Create New Wealth & Purpose at Amazon. 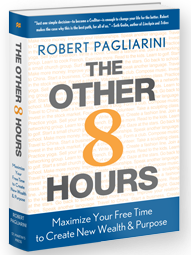 Check out Robert Pagliarini’s “The Other 8 Hours” website for some great resources he’s giving away for free. Listen to Robert Pagliarini talk about the ideas in the book, in an interview he did with LaTara Ham-Ying on her Integrated Talk show on Blog Talk Radio. Thanks for listening to the interview I did with Robert. It was a very insightful interview and one that I am still pondering on. I suggest this book because of its practical approach to life and business!